Mother's Day is HERE (basically). I know I have no gifts for anyone...and then as I was searching for something else, I found this floursack towel I made last year (or quite possibly the year before) with my daughters artwork...TA-DA! Magical, melt-your-heart cuteness for Mother's Day! This is super easy...and literally can be done in minutes (minus washing the towels). 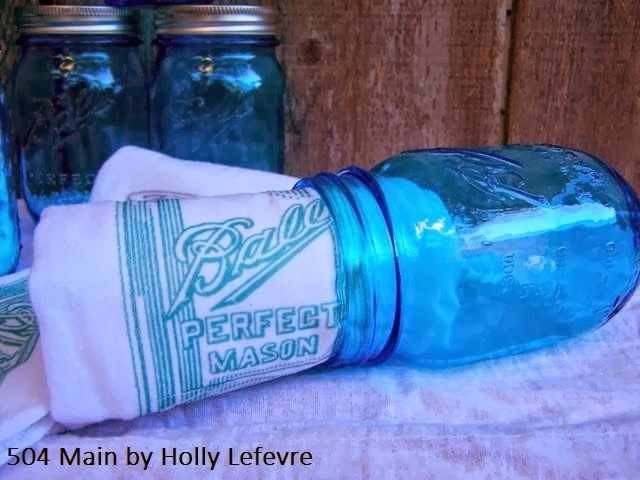 You can see a more complete tutorial on my Mason Jar Flour Sack Towels post (I am outta time here too folks! 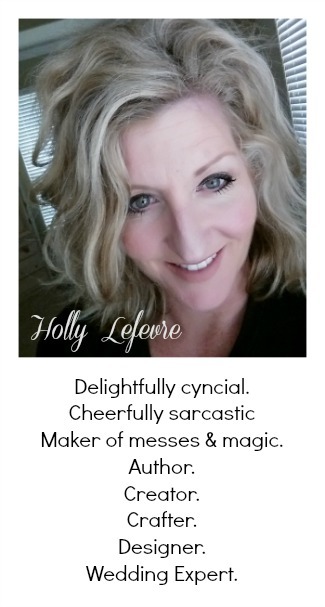 ), which is also an adorable Mother's day gift! 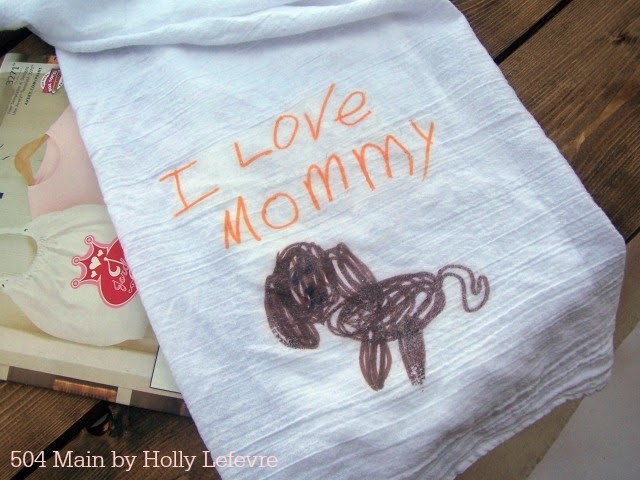 So, no, this project is not rocket science and yes using transfer on flour sacks towels has been done before...but this might inspire some sweetness, so I thought I'd share! 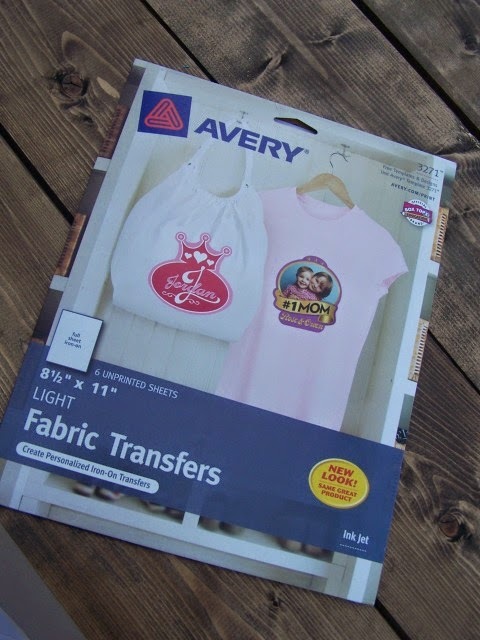 *NOTE: Big box stores often carry the transfer paper and flour sack towels - one stop shopping! Wash and dry the towels. Scan in the artwork; crop and color correct if necessary. Print out the image on the T-Shirt transfer paper, according to the package directions - they all have slightly different directions, so be sure to read them! Adjust your printer settings as necessary. I personally do not do anything different on my printer settings...UNLESS there is writing, then you need to flip or mirror the image. Print the image on the transfer paper. Cut around the image so that it makes sense - if it is square, cut a square, if there are curvy lines try to mimic those lines close to the image. Find the center of your towel and determine placement. I typically find the center, and place my image a few inches above the hem (center of image on center of towel). Heat the iron to the recommended setting. Place towel and then place the image - FACE DOWN - on the towel; place pressing cloth on top; press image into place - firmly, making sure to iron all corners/sides/etc. Let cool, slightly and then carefully remove backing. VIOLA! you are done and have total cuteness to surprise a special mom! Here's a peek at that Mason Jar towel too! 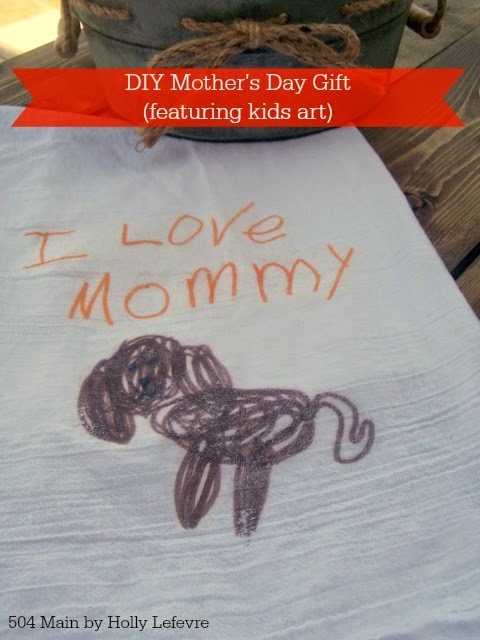 Hope you have FUN creating something special for mom!